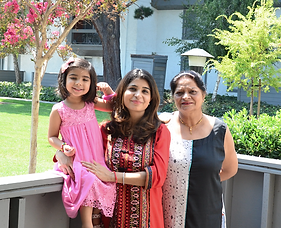 Earlier this year Shruti Katyal, founder of O'HappySunshine was featured as an Inspiring Mompreneur in the edition of the Times Of Amma Mompreneur series where they talk to mothers who have transformed their passions into money-making ventures. We hope that their accounts of the highs and lows of their entrepreneurial journey will inspire other mothers to hold on to their dreams and follow them through. 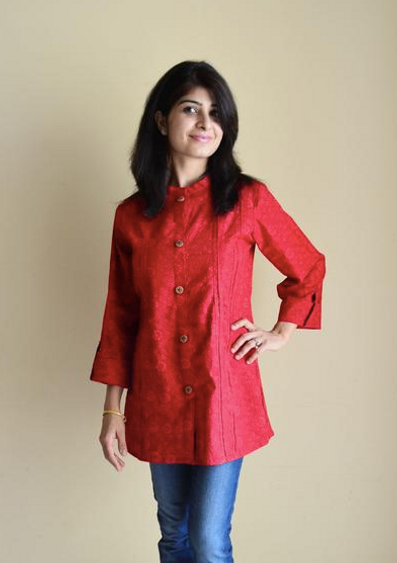 Today we speak to Shruti Katyal, a software engineer who reinvented herself with an online boutique that specializes in Indian Nursing wear- O' Happy Sunshine. Currently based in the US, Shruti is supported by her mother and mother-in-law who help with the production and shipping that takes place from India. You can check out her business here and follow it on Instagram here. technology jobs looked promising so that made sense to me as well. entrepreneurial spirit was always there. What inspired you to create O’Happy Sunshine? My daughter Sahana, she is the reason behind O’HappySunshine. Nursing her in public was one of the major challenges I faced especially in Delhi, it is so crowded wherever you go to make a new mom feel so intimidated. When I started looking for nursing solutions available in the market, all I could find is nighties. It was like being given two choices – stay indoors and take care of my child or start formula feed for her. And knowing the advantages of breastfeeding, I was pretty sure I was not giving up just because of this. So I designed clothes for myself and it took away my major worry when stepping out with my baby. Have things gone according to your business plan? Honestly, I did not have great plans when I started, the only plan was to design a solution for new moms that helps them integrate breastfeeding into their lifestyle.Being a software engineer I was able to set up the store myself and I was very surprised how quickly it gained popularity through word of mouth and the reviews from my customers. What were the challenges you faced in setting up the business? There were a lot of challenges at the beginning, it was just like another baby who needed lot of time and attention. Now that I look back the list is long, every step starting from procuring fabric to finding tailors and then getting the perfect samples ready has come with a lot of hurdles. Initially, I was the one doing pretty much everything - from designing to packaging, handling the orders, customer queries,order tracking and being the model myself. But I believe whatever you do,wherever you go life throws challenges at you - big and small. And how we deal with those make us. The risks and chances you take become the stories you tell and those you don’t become regrets of a lifetime. Who was your biggest support while transforming your passion into a business? My husband helped me kick start O’HappySunshine, he often believes in me more than I do. And then both my mother and mother-in- law have been a rock support during my journey. And now they are pretty much running the show. Tell us more about your unconventional team. perfect examples of how it is never too late to follow your dreams. life the way you have imagined to, you will meet success unexpectedly. Could you give us a glimpse of your typical working day? starts after putting my kids to bed. far as starting a business is concerned? how to get my work done with a lot more focus in much less time. mother of two when is the most you have had to multi-task? I have been an expert at multi-tasking even before I started O’HappySunshine. exhausted. Off late I am learning to slow down and focus on the task at hand. that’s when you think – Do you really want to go ahead. What has your favourite piece of client feedback been so far? brought a smile on the face of a new mom and her little one is something I live for. comfortable recently we were on our first international trip with my 8 months old. One day he was not well and didn't take any solid foods. it was the kurta which made me Nurse in Public wherever we went. Every time I have fed my baby while travelling, my husband has exclaimed "Smart that you bought these kurtas". Shruti, thank you for your time! We love how your enterprise has made life simpler for many a new and nursing mother. We wish you and O' Happy Sunshine, all the very best. Thank you for empowering other Indian Mothers and arming them with tools to face the challenges of motherhood on their own terms. Why exclusively breastfeeding is important for the first 6 months of Life! Breast milk is nature’s perfect food for your baby, as it provides the necessary nutrients and perfectly balanced ratios of proteins and fats. Breast milk contains the perfect mix of fat, protein and carbohydrate for the babies developing physiology. Breast milk passes important antibodies from mother to child that cannot be mimicked in commercial formulas.